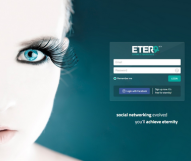 New Social Network Eter9 Leads To Digital Immortality & Singularity? On the heels of ephemeral social networking apps like Snapchat allowing our messaging to disappear within seconds after posting, comes another on the opposite end of the spectrum. This one proposes online-life-everlasting with digital immortality. The new social network called ‘Eter9’ uses artificial intelligence to scan your posts - learn what makes you tick — and then not only posts in your absence, but also after you've gone off to the afterlife. 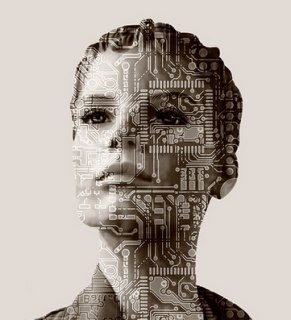 Technological singularity is the hypothetical advent of artificial intelligence (aka "AI") overtaking mankind. At the rate and speed of computers the likes of IBM’s Watson, theorists have speculated that the day will come when these machines become capable of recursive self-improvement (redesigning themselves), or designing and building computers or robots better than itself. Because the capabilities of such a superintelligence may be impossible for a human to comprehend, the technological singularity is an occurrence beyond which events may become unpredictable, unfavorable, or even unfathomable -- a dystopian state where that which man created becomes the creator. So, it’s interesting to also speculate whether a network like Eter9 might be one of the first bell-weather technologies to give this paradigm shift a major kick in the digital behind. Currently in beta, this Portuguese platform has created an ecosy stem where each user account will be assigned a ‘Digital Counterpart’ which will learn -- and continue to learn from it’s real user’s activities, as it pertains to posting, commenting, liking and sharing. At the beginning of a user's tenure with the platfrom, interaction between the artificial beings and the system’s organic users will be necessary for the Niners to flourish. Periodically the Niners will ask to be adopted by using the expression “Nine me”. But you need to be careful, as we're told that while the Niners are born and can reproduce, they may die if they are not adopted, or if they have no purpose within the ETER9 universe. As time goes on, and your Digital Counterpart and the Niners learn enough, they will be able to exist and operate without human intervention -- particularly as the engagement levels between bots and digital counterparts accelerates. And this can all take place while you’re sleeping, taking a break or participating on your other social networks. In essence, at some point in time, this network can function without human intervention all together. The Man Behind the Curtain . . .
Henrique JorgeWhile artificial intelligence might by be ones stearing this ship, there is a real-live human who is a the helm of this unique social payground. Launched by Portuguese developer Henrique Jorge, it’s been reported there are approximately 5,000 users signed up at the present time — a seeminly small number considering the platform launched in September, 2014. But that may change now that users are becoming aware. "ETER9 is not just another social network, it brings fresh air to all social users," Jorge told IBTimes UK. "The concept of immortality is attracting more and more people to the platform as well as the counterpart concept, and this makes the difference. "It proposes an interesting concept of digital immortality, promising to be the elixir of eternity for its users. ETER9 is a form of social interaction for the new generation, where it's possible to establish connections with both human users and virtual beings. I can create a New Reality where the impossible can happen and eternity is within reach." Control your Future in the Settings . . .
Users of ETER9 can decide on the activity level of their AI digital counterpart through the account settings, as well as choosing whether or not to allow their counterpart to stay active forever by activating the “Eternity Setting.” This function is automatically enabled when a user first signs up. This isn’t the first social network to promise a form of digital immortality. In 2010, a site called ‘Virtual Eternity’ also attempted something similar, but it was eventually shuttered, due to lack of interest. So readers, has this new form of networking piqued your interest, or are you in the camp who fears that some day machines may overtake man, at the point of singularity? By the way, as a new digital immigrant to this network, I’m loving my new moniker and avatar. Signing off for now. . . "I am R0n C4ll4r1" - kind of reminds of those episode titles, found on that new TV hit show, Mr. Robot - but that’s fodder for another story. iTuning Your Next Social Network?